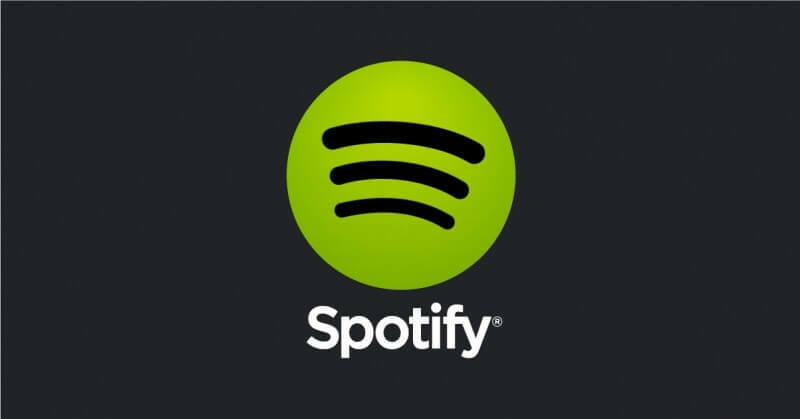 As one of the most popular music streaming services in the world, Spotify is installed on millions of PCs and Macs. But users may want to temporarily uninstall the app, after Ars Technica reported it contains a bug that has been writing gigabytes worth of data onto users’ storage devices. Complaints of the behavior, which affects the Windows, Mac, and Linux versions of the app, have appeared on Spotify’s forums for over five months. There have been similar reports on Reddit, Hacker News, and other sites. Ars found that the Spotify app can write as much as 5GB to 10GB of data an hour to a drive and can accumulate up to 700GB of junk when the app is left running for more than a day. This occurs even when the app is idle and no songs are stored locally. While this junk data obviously takes up precious storage space, it can also dramatically erode the lifespan of a drive, especially solid-states. The problem is apparently linked to database files with titles that include the “Mercury.db” string. “In the past 8 hours, Spotify wrote about 25GB to my drive. Size of mercury.db is 89MB in my case,” said user MaxK_DE. Users have posted a few manual methods of dealing with the issue, but they require some legwork. Spotify has supposedly fixed things in version 1.0.42 of the app, which is rolling out now. If it’s not yet arrived, you may want to delete the app and use the service through the browser player until it does. Its junk software. I have been talking about other bugs it has for years in the forums of spotify and no one seems to care. Occasionally use Spotify but youtube with ad blocker better as free with no ads but could the Spotify app on ps4 be also affected or on mobile? According to the Ars article, it sound like it is just desktop versions (windows, mac, & linux). Why would you use the app when play.spotify.com works just as well? Likewise along with many other windows apps didn't realise was installed and some games kids put on. Thanks for nudge to do a lil winter clean. I've noticed, in the last couple of days, that YouTube is displaying fraction of a second ads at the beginning of videos. I notice these despite using an ad blocker. One assumes naturally that this is subliminal advertising. Good bye YouTube. That is a left over image form your last video, I get them all the time and they are always from the last video I watched. Most likely it is a cache thing and not any kind of silly subliminal messages, those things you put INSIDE of videos you are watching to make them less noticeable. "A form of subliminal messaging commonly believed to exist involves the insertion of "hidden" messages into movies and TV programs. The concept of "moving pictures" relies on persistence of vision to create the illusion of movement in a series of images projected at 23 to 30 frames per second; the popular theory of subliminal messages usually suggests that subliminal commands can be inserted into this sequence at the rate of perhaps 1 frame in 25 (or roughly 1 frame per second). The hidden command in a single frame will flash across the screen so quickly that it is not consciously perceived, but the command will supposedly appeal to the subconscious mind of the viewer, and thus have some measurable effect in terms of behavior". Well no, it's not "subliminal advertising". If it were, you wouldn't be aware of it. Besides, subliminal advertising is illegal in the UK, and controlled more or less by "the honor system", in the US. @Reachable I think a tinfoil hat would stop it for you. This assumes you don't want to abandon YouTube simply for "general principles". "Subliminal", then, was not the right word to use; not the technically correct one. But a really quick ad, I can see how that could be an effective strategy. You present your product just long enough to create a conscious impression, to remind the viewer of its existence. @Camikazi I will be aware now to look for familiarity from the previous video, but to tell you the truth that wasn't the impression I've gotten so far. I hope you're right. But nothing changes the fact that advertising, as it's presently practiced, is insidious. It employs all sorts of tricks and sleights. You have to avoid it or have good defenses against it or you'll get taken. Wear a tinfoil hat, by all means, because otherwise you'll just be a sheep. I will be aware now to look for familiarity from the previous video, but to tell you the truth that wasn't the impression I've gotten so far. I hope you're right. But nothing changes the fact that advertising, as it's presently practiced, is insidious. It employs all sorts of tricks and sleights. You have to avoid it or have good defenses against it or you'll get taken. Wear a tinfoil hat, by all means, because otherwise you'll just be a sheep. Well, a few points. First, I embed YouTube videos here at Techspot all the time. The ad(s) preceding it aren't present when (or if) you watch it remotely. (Away from the YouTube site itself). The ads aren't present either, should you elect to do something as nefarious as downloading the video. Now let's tackle he advertising itself. YouTube in standard form is free. "Free" doesn't come without advertising to support it. It fact, the "scripted dramas" on "daytime TV", are even called "soap operas". So called because they are ad supported by makers of products which promise the lady of the house, "whiter whites", and "brighter colors" on wash day, along with glassware which doesn't have spots when the dishwasher is done with it. It really doesn't make a whole lot of sense to be whimpering about the supposed "insidiousness" of advertising, nor is there a point to abandoning a favorite website or prime time TV show because of it. Gmail is going to give you its free 8GB of storage with the support of paid ads. I think you can pay for an ad-less version of YouTube and Gmail(?). If not free Gmail, you can buy an email service which doesn't have them. Since I'm one of "the ancient ones", I've grown old with the expectation of "free TV", and learned to use the mute button when those "nefarious ads appear, which is about every 9 minutes or so. (With popular shows, often less). Now with millennials, they seem to have the idea that they are entitled, nay verily have a "birthright", to every facet of entertainment for free, along with an entire C:/ drive filled with free programs. The pure and simple fact of the matter is this, "you can lead a customer to your merchandise, but you can make him buy", period.. So, practice sales resistance and restraint, as opposed to buying something you don't want or need, and being indignant about it afterwards. And always remember this; if you click on a link for a "free IQ test", you've already failed it. The United States was the only country in the world to establish its television system as privately owned/advertising supported. I'm glad, @captaincranky, that you use your mute button. I hope you are vigilant with it. The major players of the Internet built their services to be advertising supported also. This, as I see it, is a lot better than having everyone pay directly for everything they use, because were that the case you would have a situation where only the wealthy have access to knowledge. Nevertheless, there are better scenarios than the way it presently is, but I won't get into them now. Yes, ads have become very insidious. They continue to employ more and more sophisticated ways to persuade and influence attitude, and they enable harmful entities to clothe themselves in beauteous propaganda. The Web survives only to the extent that people tolerate these ads. I cannot tolerate them, and if that has to limit where I go or what kind of content I look at or service I use, so be it.